A couple in Mansfield MA, wanted to separate their living space with their bedroom. One of the weakest links is the door separating the two rooms, along with the abutting wall. 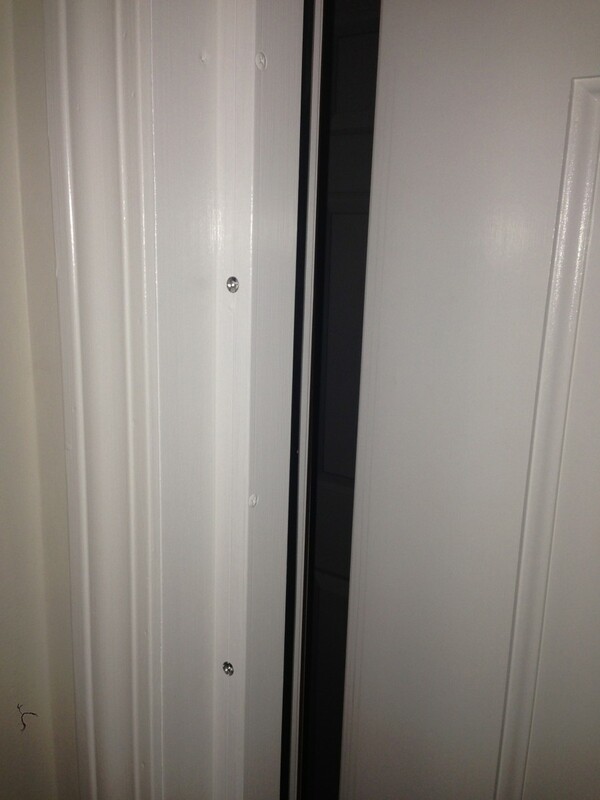 New England Soundproofing soundproofed the wall along with installing a Door Seal Kit. The door seal kit includes the HD Door Sweep and Seals, with an extra thick (1-3/4’’ thick) solid core door. This heavy-duty kit allows for maximum seal around the door, making sure no noise will get through. After the installation, the satisfied homeowner requested to paint the kit the same color as the trim, matching the whole door and blending the kit in nicely. Now the homeowners have two separated rooms, and a camouflaged, clean door seal within their home. To purchase the HD Door Seal Kit, click HERE, for just the Door Seals, click HERE, and for the HD Door Sweep, click HERE. Call New England Soundproofing for any door soundproofing kits, including installation by one of our professional installers.